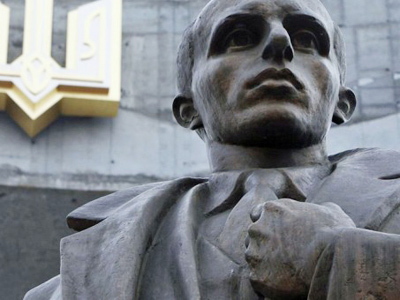 A Ukrainian court has stripped Stepan Bandera, a Nazi collaborator and leader of Ukraine's Nationalist Movement during WWII, of the title “Hero of Ukraine”. 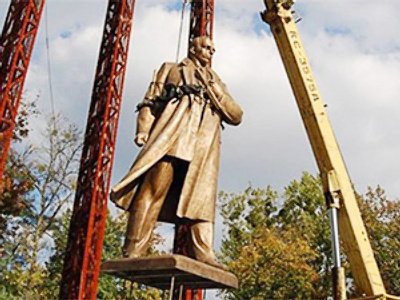 ­The controversial decision to honor Bandera, made by the country's previous president, Viktor Yushchenko, in January 2010, was ruled unlawful. The court’s decision entered into force on Wednesday. Yushchenko issued the decree just prior to the end of his term, after his decisive failure in the first round of the presidential election, which eventually brought the incumbent President Viktor Yanukovich to power. The decision was met with strong opposition both in Ukraine and abroad, and was condemned by Russia, Poland and the world Jewish community. During the Second World War, the nationalist movement led by Stepan Bandera was involved in the ethnic cleansing of Poles and Jews in western Ukraine. Initially collaborating with German occupational forces, the nationalists later turned against them, after it became clear that the Third Reich did not have an independent Ukraine on the mind. 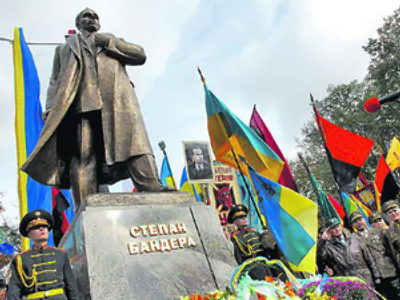 Another controversial figure in Ukrainian history, Bandera’s close ally Roman Shukhevich, was honored by the then-President Yushchenko in 2007. Initially serving in the armed units of the Third Reich, in 1943 he became commander of the Ukrainian Rebel Army (URA). Numerous crimes on the army’s record include the murder of some 100,000 Poles, Czechs and Jews in the Volyn region. A court hearing on stripping Shukhevich of the Hero title will take place on February 16.